Tuckpointing – sometimes called “repointing” – describes the restoration of historic brick buildings by removing mortar between masonry joints and replacing it with lime-based mortar. This term applies to brick restoration on both building facades and chimneys.When done correctly, tuckpointing will ensure the structural integrity, longevity, and value of buildings constructed of brick during the 18th, 19th, and early 20th centuries. Lime, a stone used in construction for centuries, is the core ingredient in historic mortar. Its composition, texture, and strength – or level of hardness – are entirely different than cement or concrete, which are modern building materials suited for new construction. If a historic building is not tuckpointed correctly, it will eventually show signs of structural damage and interior water penetration. Spot tuckpointing is the process of repointing on a smaller scale. It involves addressing only the major open holes and settling cracks in an otherwise solid wall. Fundamentally it's just plugging up holes to stave off rapid deterioration. Many homeowners and some building professionals consider it a shortcut to repair and restoration of brick facades that need extensive tuckpointing. This sounds like a reasonable repair, primarily because it is quick and may be inexpensive. But it merely a band-aid approach that will neither stabilize a building nor halt its continued deterioration. How Does Water Damage Brick? A crumbling or flaking of the surface of their brickwork. This form of deterioration, known as spalling brick, usually results from some type of water damage. Sections that are coated with a white powdery substance. The technical name for this white powder is efflorescence. Although undesirable, efflorescence is usually not harmful to brick masonry. It is, however, an indication of the presence of excess water in the masonry, which can lead to more severe issues. During winter seasons ice and snow form on brick walkways and steps, presenting a challenge for homeowners. Alternatives to salt or other chemical de-icing products should be used to remove the ice and snow. The chemicals damage the bricks and degrade the mortar joints. What Should Homeowners Know About Maintenance of Exterior Brick? 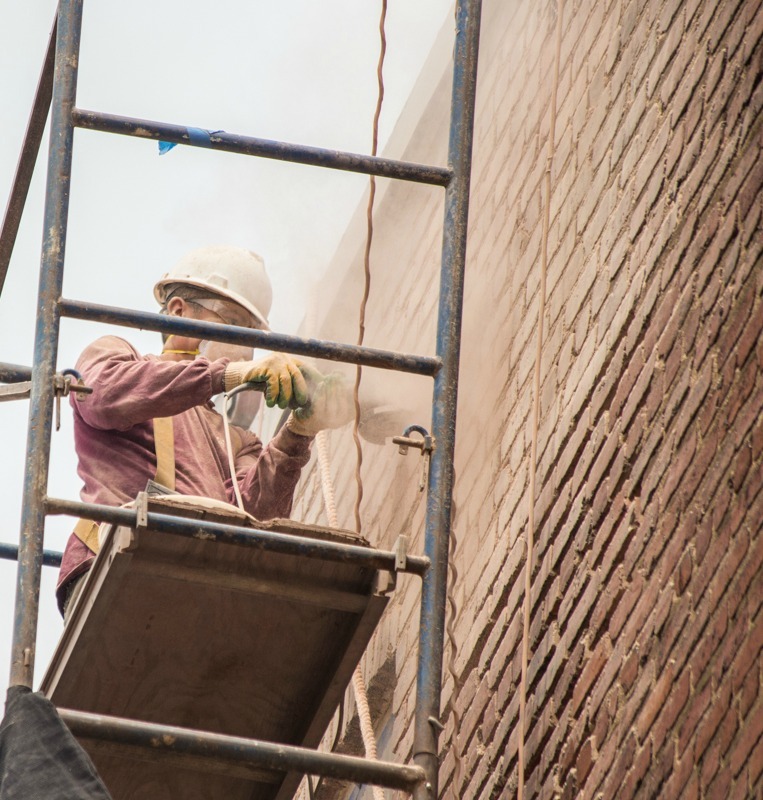 Brick and masonry might be among the longest-lasting, most weatherproof building elements, but old brick buildings still require maintenance and repair. 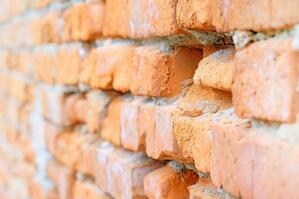 Spring is the best time for a visual inspection of the brick joints for warning signs of damage. These joints, which appear dark or shadowed, are recessed inward from the brick faces. Look for a powdery lime mortar that crumbles to the touch or can be easily extracted with a key or a pencil. You may need to use a pocket knife to perform a probing test. If you find these apparent signs of mortar deterioration— particularly at eye level on ground floors—you should get a professional assessment by an expert in historic brick buildings. Many old brick homes are covered with ivy. It can certainly look beautiful, particularly during the warm months when the ivy blooms. It adds a thick green texture to the wall and gives your home a woodsy feel. However, ivy can be destructive for historic DC brick homes. 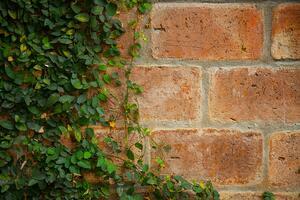 Ivy tendrils dig deep into brick and can grow through the brick and mortar. Many homeowners want to mount flags or other decorative signs and emblems on the brick facades. Mounting on brick requires care and the use of proper tools. When cleaning old brick you should always use the least aggressive method. Never use a high-pressure spray to clean old masonry. Although you can remove decades of built-up dirt, you'll also remove mortar and most likely a thin layer of the brick itself. 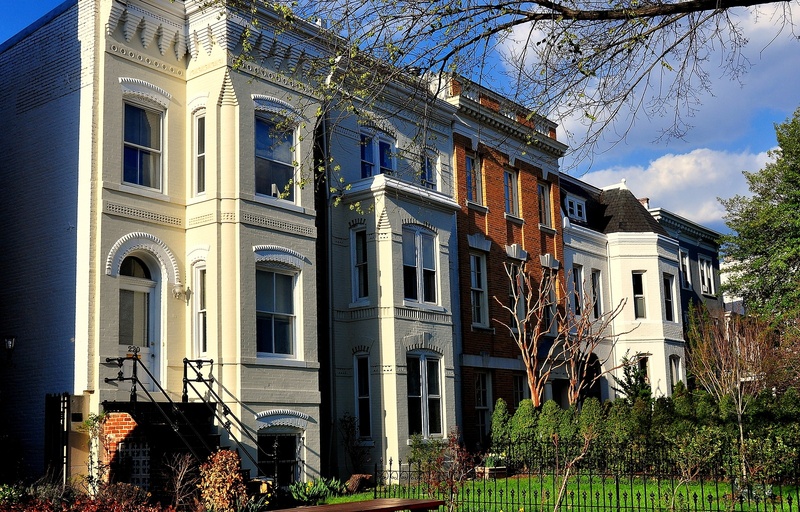 Those bricks that make up your old home's facade are durable enough to last nearly a century. But the mortar holding them together is another story. It typically has to be replaced several times during the life of the walls to prevent any damage. This process, traditional tuckpointing, can dramatically increase the longevity of your home's façade. It is essential that the masonry contractors selected for a tuckpointing job have expertise in using traditional methods and materials. That means using lime-based mortar that is the appropriate hardness for the brick.